If you’re considering buying a Nissan Altima, you may find yourself wishing there were an easier way to learn about this midsize sedan. Luckily, you’ve reached the right place—Walker Jones Nissan has a comprehensive list of reviews, so you can find all the important information about this car in one place. 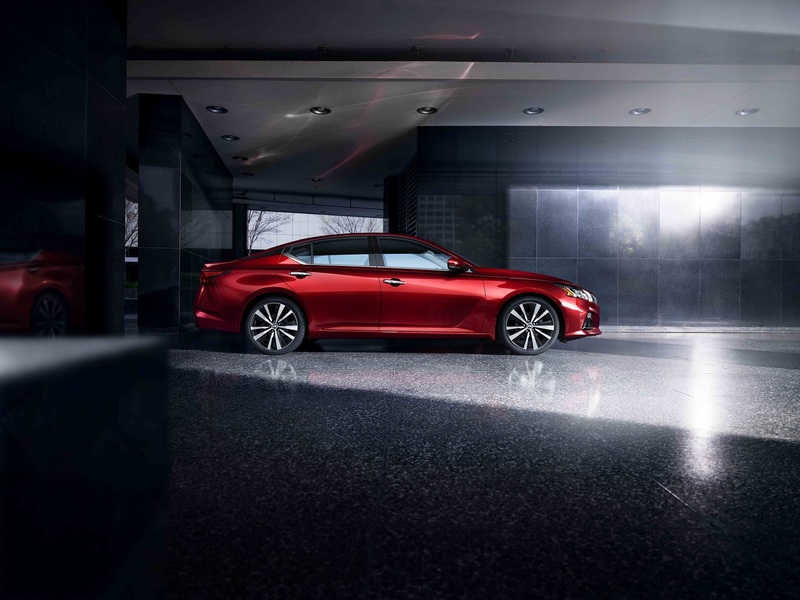 Scroll through this page to explore the advanced features available in the Altima, find out which trim level is best for you, and more. When there’s something you want to learn more about, click through to any of the links on this page to dig deeper into each aspect of this high-tech car. If you still have questions after reading these comprehensive reviews, contact our Nissan dealer. We’re proud to help drivers in Waycross, Douglas, Vidalia, Tifton, and Jesup, GA! When you buy a new car, you want to make sure its interior makes each journey smooth and comfortable. The Altima offers standard convenience features like a rear door alert, push-button start, and more to improve your drive. Plus, with an 8-way power-adjustable driver’s seat and a tilt and telescoping steering column, you can easily find a comfortable position in the roomy cabin. Read our Nissan Altima interior spec reviews to learn more. Once you get comfortable, you can sit back and enjoy a fun drive: This midsize sedan offers two innovative engine options, including a variable-compression turbo that changes shape as you drive to offer more power or more efficiency depending on what the situation calls for. Which Nissan Altima has leather seats? Which Nissan Altima comes with a sunroof? Once you’ve learned the basics about this car, it’s time to start looking into the features available at each trim level. There are eight trim levels to choose from, ranging from the standard S to the sporty and fun SR VC-Turbo™ and the fully equipped Edition ONE VC-Turbo™. Our Nissan Altima trim level reviews provide an overview of the options and premium features available on each model, so you can start figuring out which one you want to test drive. Every car requires routine maintenance, but the recommended maintenance intervals vary from brand to brand. Find out what sort of routine service the Altima requires and when you should get them in our Nissan Altima maintenance schedules. Additionally, we’ve all had this experience: You’re driving down the road, listening to your tunes, when all of a sudden, a warning light appears on the dashboard. Well, thanks to our Nissan Altima dashboard light guides, you’ll be fully prepared next time that happens. These warning light guides go over common warning lights in the Altima, so you can find out what they mean and what actions to take when each one appears. Nissan Altima: Learn More Today! This stylish and powerful sedan is a great choice for running errands in Waycross, Douglas, and Vidalia—but you don’t need to take our word for it. After checking out the Nissan Altima reviews on this page, contact Walker Jones Nissan to schedule your test drive near Tifton and Jesup, GA!